*Collection of never before displayed World Championship rings from Walter O’Malley (1959, 1963 and 1965) and Peter O’Malley (1981 and 1988). *Original Dodger Stadium model produced for Walter O’Malley as a gift from his friend Mervyn LeRoy, renowned producer-director, by Warner Bros. Studios, circa 1960. Model from original plans by designer-engineer Capt. Emil Praeger and shows pastel color seating palette used in Dodger Stadium when it opened April 10, 1962. David Ernstein of Warner Bros. art department made the model. 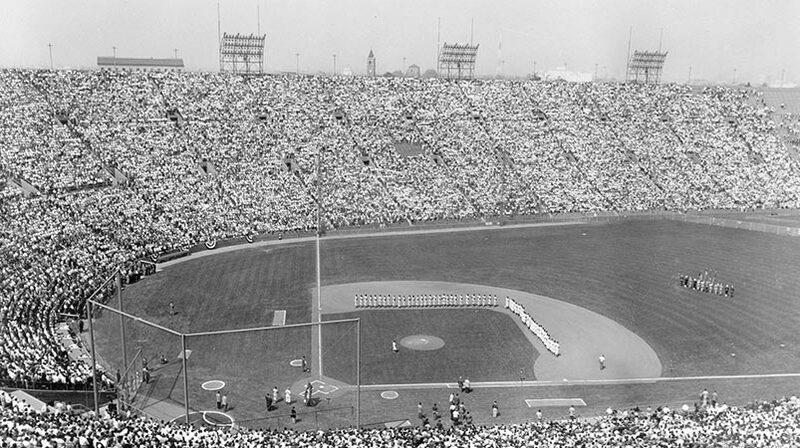 The model was exhibited in the winter of 1961-62, prior to the opening of Dodger Stadium, when it was on display at the Los Angeles Chamber of Commerce and Bank of America headquarters building downtown. It was in O’Malley’s office until 1979. Following that, the model was in Peter O’Malley’s office. *Four full-color, newspaper special section covers welcoming the Dodgers to Los Angeles in 1958.